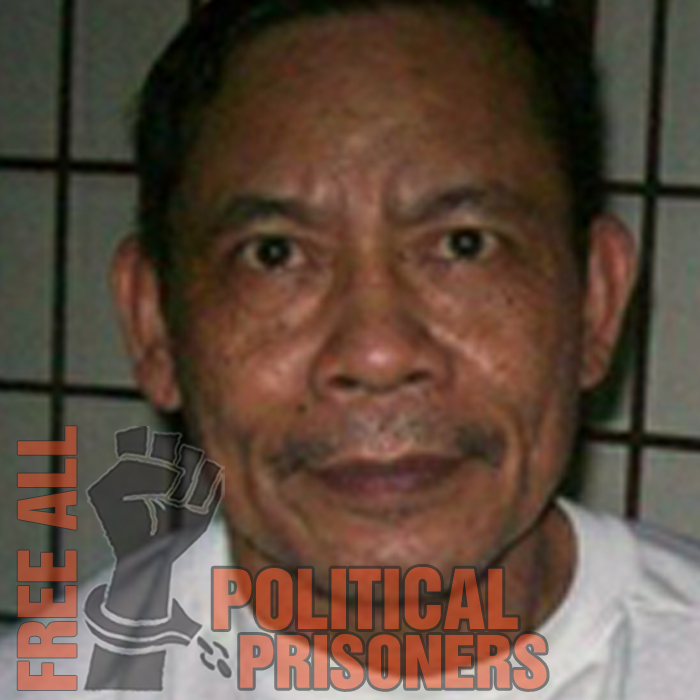 I am Dario Tomada, a political detainee for the past one year and three months at the Manila City Jail. 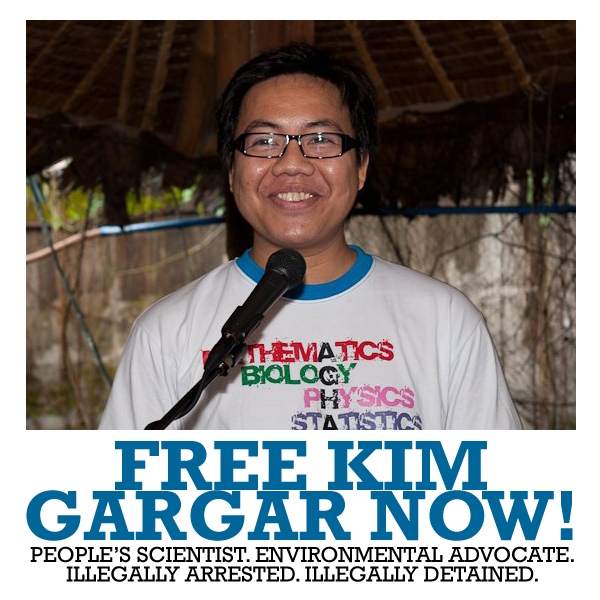 I was arrested on July 22, 2010 in Manila. I was accused of being one of the “John Does” in the multiple murder case against Jose Maria Sison and Satur Ocampo. I think it was because in 1989, I was the Secretary General of the regional peasant organization in Eastern Visayas and head of the alliance of farmers for genuine land reform in Leyte. I come from a peasant family, a farmer-tenant and the seventh of nine children. Knowing the suffering of the peasantry, I got involved in the ﬁght for land reform during Marcos time and continued hence. Earlier, in 1986, I became the Vice Chairman of the Organization of Peasants for Leyte. Later when the regional peasant organization for Eastern Visayas was formed, I became the Secretary General. During my term, we won many cases against landgrabbing. Wesucceeded in lowering land rent. Through our campaign “Balik Uma” (back to the farms) we transformed foreclosed and untilled lands into productive farms. In 2005, OBL was imposed on the whole Eastern Visayas region. Known “berdugo” (butcher) Gen. Jovito Palparan headed the military campaign. With OBL, the region had a taste of all kinds of human rights violations – extrajudicial killings, enforced disappearances, arrests, torture and detention. My family was immediately victimized. In 2005 unidentiﬁed men believed to be military agents shot at my brother-in law, Salvador Ycoy. The gunmen thought Salvador was me. Fortunately, he survived the attack. Knowing that I was the target because of my involvemenwith the peasant struggle, I went to Manila. I volunteered to be an organizer of the Kilusang Magbubukid ng Pilipinas or KMP (Peasant Movement in the Philippines). But in July 2010, the military arrested me. Around 11:00 pm, ﬁve men who introduced themselves as policemen, picked me up. They were not in uniform. They immediately blindfolded me and tied my hands at my back. They started interrogating me. They bombarded me with questions. If they didn’t like my answer, they punched my body. They collared me and hit my chest and back. They later tied my hands to my cot. On one hand, they threatened to harm my family. On the other, they offered me a big amount of money to be a “state witness.” They also wanted the names of the people I know in the movement in Visayas and in Luzon. The interrogators asked me if I knew Joma Sison and Satur Ocampo. Later I found out that I was one of the “John Does” in the multiple murder case against Joma and Satur. With me in same case is Oscar Belleza, ViceChairperson of the alliance of peasants for land reform. During the interrogation, somebody came and stopped the questioning. He said I would be turned over to the police after a medical check up. It took several hours before I was led blindfolded into a car. During the trip, the men, who introduced themselves as priests and my savior, removed my blindfold. They told me that they were from the Intelligence Service of the Armed Forces of the Philippines (ISAFP) and they would turn me over to the police. They brought me to the CIDG in Camp Crame. On the same day, I was transferred to Camp Karingal. I was in Camp Karingal for three months. After three months I was brought to the Manila City Jail where I am now detained. Dario Tomada’s story was read by former political prisoner, Luis Jalandoni. Jalandoni is now the chairperson of the negotiating panel of National Democratic Front of the Philippines in the ongoing peace talks with the Government of the Republic of the Philippines.